Sizes 6-14. Slim-fitting through hips and thighs with an easy-on elastic waist. 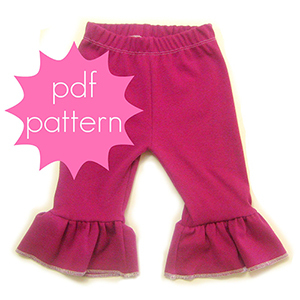 Pattern includes full length and capri length options, and single or double ruffle options. Instructions on how to apply professional topstitched elastic (no uncomfortable twisted elastic casings here).